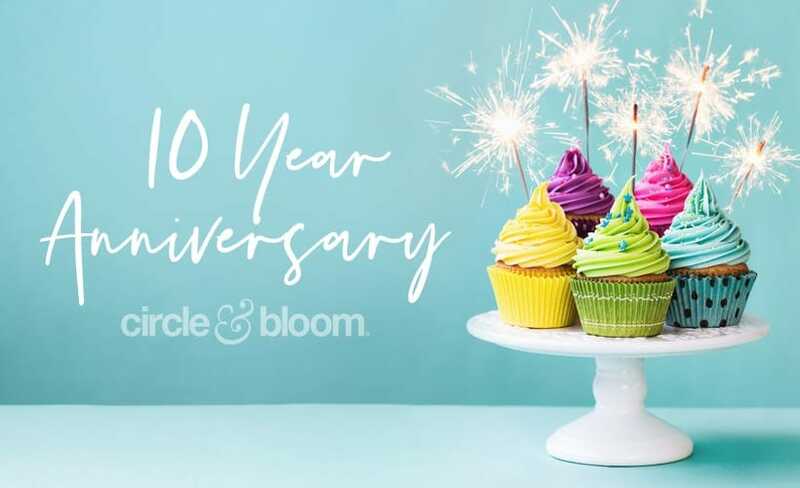 We’re hosting a huge giveaway to celebrate Circle+Bloom’s 10th year. Learn more at the bottom of this post about the ten prizes we’re giving away – including a grand prize of a $400 American Express Gift Card to help someone in our wonderful community during their infertility journey! I am blown away that Circle+Bloom has touched more than 50,000 people over the last ten years. Even more amazing are the individual stories that I hear from women who have reached out to tell me what our programs have meant for them. One story that really touched me personally was from Jackie, who was 45 years old and had been pregnant 7 years before as a result of IVF. 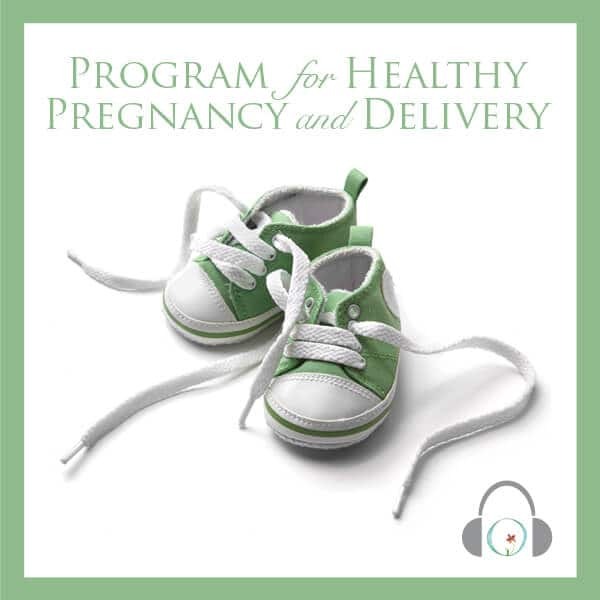 She was listening to our Introductory Relaxation for Fertility program every day with the hopes of becoming pregnant again. However, she suspected she was going through menopause because her body felt different. We met when she called our 800-number to ask if we had a program for pregnancy; it wasn’t menopause, she was pregnant – after only one month of using our free fertility program! Two of our earliest users were beta testers for the very first Circle+Bloom program: the Natural Cycle for Fertility. Naomi and Kelly both helped me validate that our programs were working, and that we had developed something of quality that is helpful and beneficial. 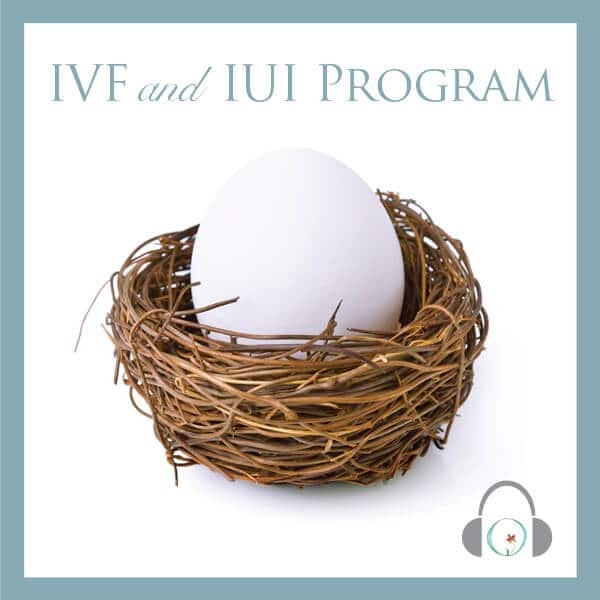 Naomi was an influential fertility blogger and she was going through IVF. She listened to Circle+Bloom and became pregnant. Around the same time, Kelly was going through IVF while listening to Circle+Bloom and became pregnant with her twins. Her kids are now 10 years old, and I love getting to see updates about them on Facebook. Stories like these – from the individual women and families that Circle+Bloom has helped over the last decade – are what keep me inspired and focused on all the good that our programs do for people. While we’re looking back, I pulled our ten most popular blog topics from the last decade – in case you missed any of these great topics the first time! Does PCOS Affect a Woman’s Ability to Conceive? We get a lot of wonderful feedback from our community, and one of the requests that I kept hearing was to create a program for new mothers. 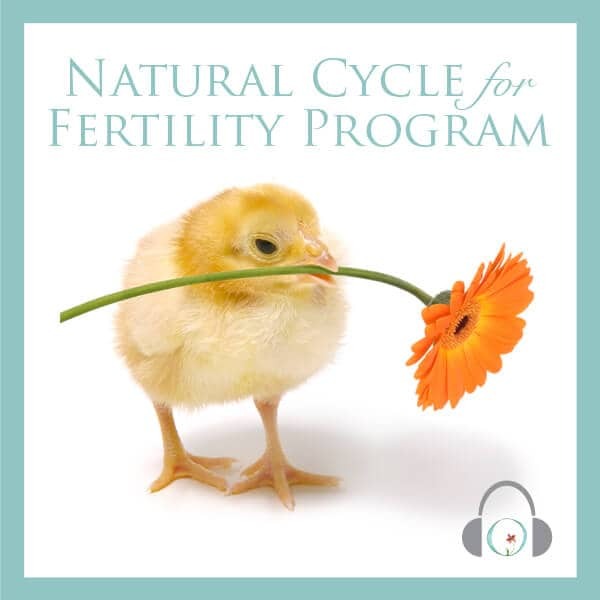 People listen to our programs all the way through their infertility journey, and then through pregnancy. But once they deliver their child and are thrust into a huge life change and new world of parenting, it can become stressful and we didn’t have a program to help. So right now, we are working on developing a new program to help new mothers with sleep, confidence in their abilities, and help calm anxiety. I am envisioning that it will support new mothers to relax into their intuition during the first few months of parenthood. We may also include a meditation for breastfeeding. We’re hoping to launch our New Mothers program in the coming months, so keep your eye out for that if it’s something that relates to you! We’re also considering offering a series of yoga videos on Circle+Bloom, through a carefully chosen partner. Have you ever wondered about how I create the Circle+Bloom guided meditations? I thought it might be fun to pull back the curtain a bit and share where I find my inspiration and information! The way I created the very first Circle+Bloom program is much the same process that I follow today – ten years and many programs later. It is always a combination of the medical science behind what is happening in the body, and the emotional and psychological state of mind. For the medical science, I rely on a team of brilliant fertility doctors for information, guidance, and feedback. Bernie Siegel has continued to be one of my most trusted resources for medical insight, and I also work closely with Reproductive Endocrinologist Dr. Dehan Chen. I begin by doing some of my own research into how things are (or should be) happening in the body for a specific situation, and then I touch base with my medical partners to confirm, adjust, and dig deeper as needed. 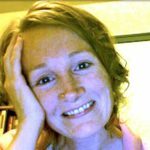 Once I have a solid understanding of the medical processes and the physical state of the body throughout the experience for which I’m creating a program – whether it by IVF, PCOS, or embryo transfer- I transition my thinking to consider the range of emotional and psychological states that a person may go through based on my own experiences. I get quiet, and invite my intuition and inner voice to rise to the surface. I will enter a meditative state and notice the thoughts and images that arise. I use these ideas to speak directly to the listener’s fears, anxieties, and hopes. The rest of the process is a bit more technical. I put a lot of preparation into the recording process because it’s important for the end result. I make sure I am in a relaxed state, in the right frame of mind, and that my voice sounds good. I add music, and make sure that the timing is right to allow enough time for visualizing. The cadence needs to be just right. Once a program is complete and I send it out into the world, it’s such an amazing feeling to wonder who out there will find it and how it may help them. I’m feeling the same way right now about the exciting giveaway we’re running to celebrate Circle+Bloom’s 10-year anniversary! Giveaway: 10 Gifts to Celebrate Circle+Bloom and YOU! Starting November 1st and going all month long, we’re accepting entries into our giveaway contest. (One entry per person, please.) On December 3rd, winners will be selected at random and notified by email. Check out these amazing prizes that we have to give away! And our Grand Prize is…a $400 Fertility Journey Grant! I am so excited to give these wonderful gifts away, so please click over to the Circle+Bloom site to submit your entry!